If this election season has enticed you to imbibe a little, you’re not alone. This Thursday, RYE, newly re-opened in Fells Point on Thames Street, is hosting a Canadian Whisky tasting that should help take the edge off before Tuesday. Tastings start at 8 pm. Add ice to Old Fashioned glass. Add ingredients listed above (except Sierra Mist) to shaker and shake. Pour into Old Fashioned glass. Top off with Sierra Mist. Garnish with speared lemon wedge. Rachel is our bartender in this video from Hard Rock Café. 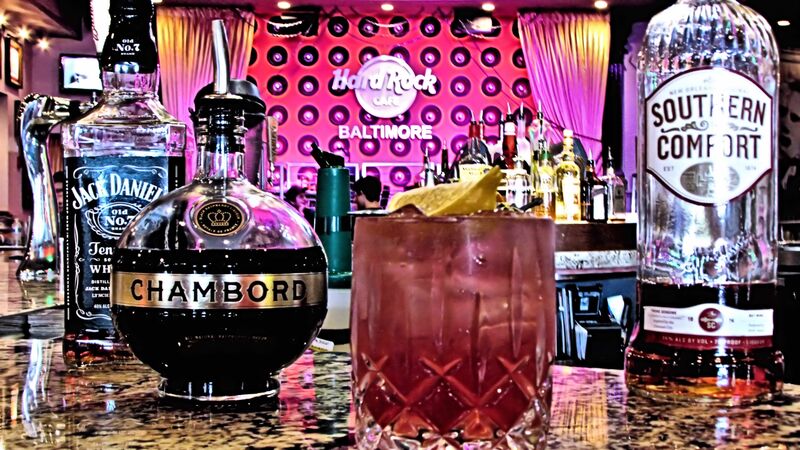 She will be one of the bartenders at the Barocker Event: Baltimore’s Best Hard Rock Bartender Competition on Wednesday October 22nd at 7:00 pm. The Southern Rock is one of the many Hard Rock Café cocktails that will be in the contest. So mark your calendar for the Barocker Event! This cocktail is not to be taken lightly; just a couple of these will be enough. Posted by letsdrinkon in At Your Service REWARDS, Baltimore, Baltimore Ravens, Bars, Dining - Restaurants, EAT. PLAY. LIVE., Lawfully IMBIBE, Leisure, Let's Drink On, Lifestyle, Luxury, Maryland, Merriment, Party On, Preferred Partners, Signature Cocktails, Supper Clubs, Work. Life. Balance. •Using a jigger add ingredients to a shaker. •Strain into the Old Fashioned glass. This cocktail, I would say, is best described as a whiskey-based sweet summer cocktail. Matt, who is in this video, is making a cocktail created by Jenna Krumm. Jenna is the cocktail manager at Blue Grass Tavern. They will never disappoint, in either their knowledge of mixing alcohol or service.